TenCate is a leading supplier of specialty materials ranging from ballistic armor protection to advanced composites to geosynthetics. TenCate, a company with a rich 300+ year history, employs over 3,500 personnel in 15 countries and has annual sales in excess of $1 billion. All groups focus heavily on innovation and on delivering value through materials technology. TenCate Advanced Composites (TCAC) operates four prepreg facilities in North America and two in Europe. The company’s aerospace facilities are approved with ISO9001:2008 and AS9100:2009 Rev C approvals. TenCate's maintains carbon-free areas for the production of low-dielectric materials used in radomes and communication composite structure. The Corporate office for TCAC-USA along with manufacturing is located in Morgan Hill, CA which is approximately 1.5 hours south of our Fairfield, CA prepreg facilities. The Camarillo CA and Burlington Ontario Canada facilities are focused on thermoplastic composite production focused on industrial markets (transportation, energy, electronics and recreational). The European corporate office and thermoplastic manufacturing is located in Nijverdal, the Netherlands. 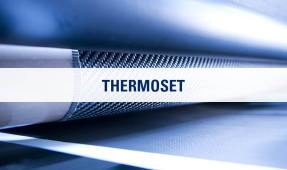 Thermoset composites production is located in Langley Mill England. TenCate’s aerospace grade thermoplastic technology is based upon reinforced thermoplastic laminates provided out of the Nijverdal Netherlands facility, and thermoplastic UD tape produced in the California location. PPS-based thermoplastic fabric laminates are used on commercial aircraft leading edges, rib stiffeners, keel beams and interior panels. PEI-based thermoplastic fabric laminates are used primarily on aircraft interiors. TenCate’s thermoplastic aerospace grade unitapes based upon PEEK, PPS and PEI polymers are manufactured in Morgan Hill. The company’s Performance Composite thermoplastic unitapes made with Nylon, Polycarbonate/ABS, Polypropylene, HDPE and PET are made in the Burlington Ontario Canada facility. TenCate's thermoset and high temperature materials are widely used in space, satellite and radome / antenna applications as a result of their performance characteristics and successful flight history. The company's thermoset based prepregs utilize epoxy, cyanate ester, BMI or high temperature polyimide resins combined with both unidirectional tapes or fabric based materials. 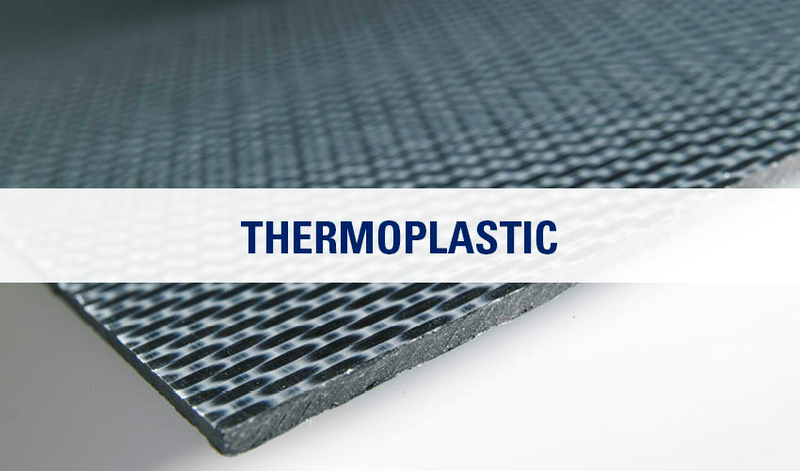 The TenCate Cetex® range of thermoplastic based resin include aerospace grade resins of PEEK, PEKK, PPS and PEI and engineering grade resins of nylon, polycarbonate/ABS, polyethylene, polypropylene, PET and PMMA. TenCate utilizes either direct coating process or in a film coated process for impregnation and can control the resin content as well as the degree of impregnation. TenCate offers aerospace grade unidirectional thermoplastic composites on a fully impregnated basis. Fabric based prepregs are partially impregnated, but are offered in pressed out fully consolidated laminates in typically configurations of 1-24 plies although higher ply counts are available. These laminates are referred to as RTL (reinforced thermoplastic laminates) and ply count and orientation are specified by the customer. Fully consolidated RTL laminates are typically used in secondary thermoforming operations for fast part fabrication. 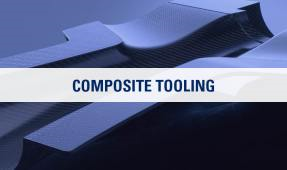 TenCate's AmberTool® series of epoxy tooling prepregs have become the trusted benchmark products in workshops across the composites industry. They have an excellent reputation for reliability, cosmetic surface finish and longevity of tool life. The TenCate AmberTool® family of prepregs offer versatile low-temperature cures, producing high-quality composite tooling from low-cost patterns. Complex shapes are manufactured with ease with their excellent tack and drape characteristics. After a final free-standing postcure, a low coefficient of thermal expansion is obtained and end-use temperatures up to 190°C (374°F) achieved. The latest additions to the range offer extended outlife and long storage life, while maintaining the high end-performance characteristics associated with TenCate AmberTool products and all are available in a range of reinforcements. If required, the company can also offer these in roll form or pre-cut kits, without any negative impact on product outlife. TenCate is also the exclusive global distributor of the 3M™ line of nanosilica fortified resins. These unique resins employ a nano technology in the resin which provides lower coefficients of thermal expansion, increased surface hardness, higher fracture toughness and lower shinkage. All of these characteristics are ideal for tooling by providing high levels of durability and resistance to leakage resulting from resin microcracking. Today's composites need protection from lightning strike, UV rays, impacts with rain/hail and paint stripping processes. 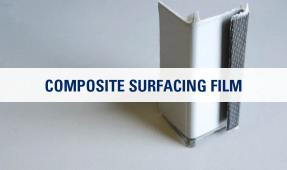 TenCate composite surfacing films are designed to protect the composite while providing an aerodynamically smooth layer that facilitates paint & primer adhesion. TenCate's line of TC235 composite surfacing films can be offered with lightning strike foils for various levels of Zone 1-3 lightning strike protection and are also offered in clear or opaque versions. Typical film weights are 0.030 to 0.035 psf (150 to 170 gsm) and in widths of 36 inches up to 50 inches (90-127 cm). Other weights and widths are available upon request. 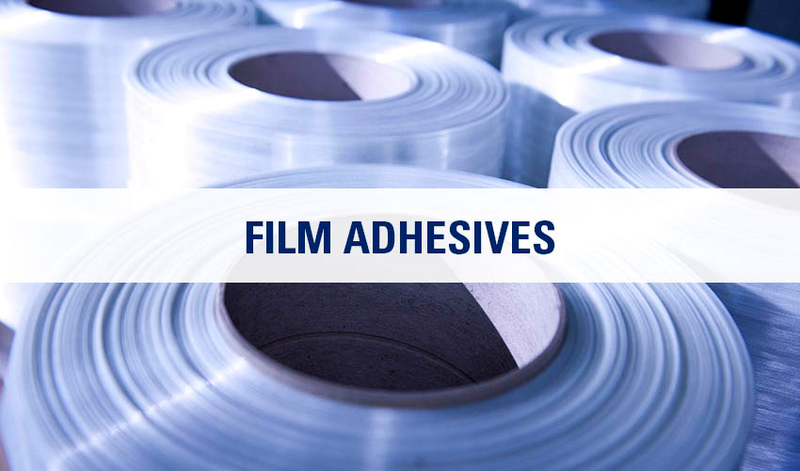 Film adhesives are thermoset based products cast in a precise areal weight and width. They may be supplied directly with a lightweight veil such as fiberglass, polyester or nylon, or they may be offered in unsupported form. Typical areal weights range from very lightweight cast films of 0.015 psf to 0.10 psf. (75 to 500 gsm) and are offered in widths from 12 to 50 inches (30-127 cm). TenCate's film adhesives represent prepreg resin films and as such are typicall low in viscosity and high in tack. Resin film adhesive are primarily used for bonding core to skins; providing a resin rich surface layer; or bonding laminates together. They may also be used when a slightly higher resin content is desired in a composite layer. RTM (resin transfer molding) resins are a class of low viscosity thermoset based resins used to inject under pressure into a dry preform. Resin transfer molding allows a part builder the ability to work with dry fibers/fabrics and preforms and then use pressure to throughly wet out the fibers to then fabricate a final part. RTM resins have a minimum viscosity to allow good wet out and operate at this low viscosity for a defined work life to wet out large parts. RTM resins are offered in one part (catalyzed) or in two part form whereby the curing agent must be mixed with the resin before injection. 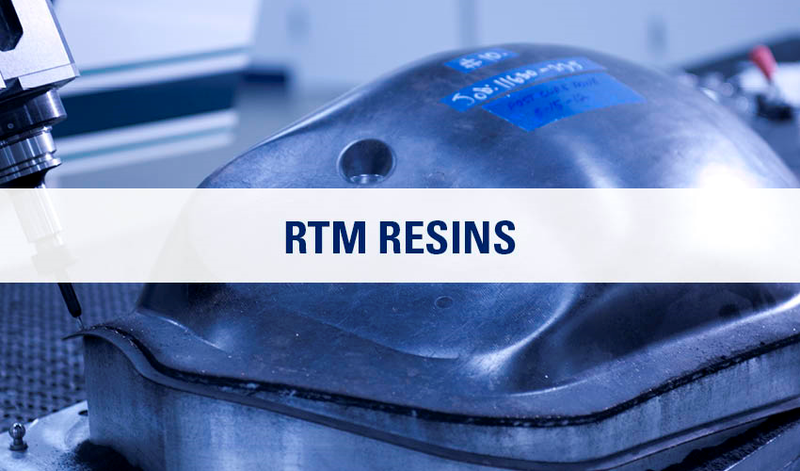 RTM resins then use a subsequent heat cycle to achieve final cure and desired part service temperature or Tg. Paste adhesives are thermoset based resins either in low viscosity (neat resin) form or filled forms. Low viscosity resin are used for repair and injection, while filled resins may be thixitropic (non sag) for easier application and higher compressive strengths. 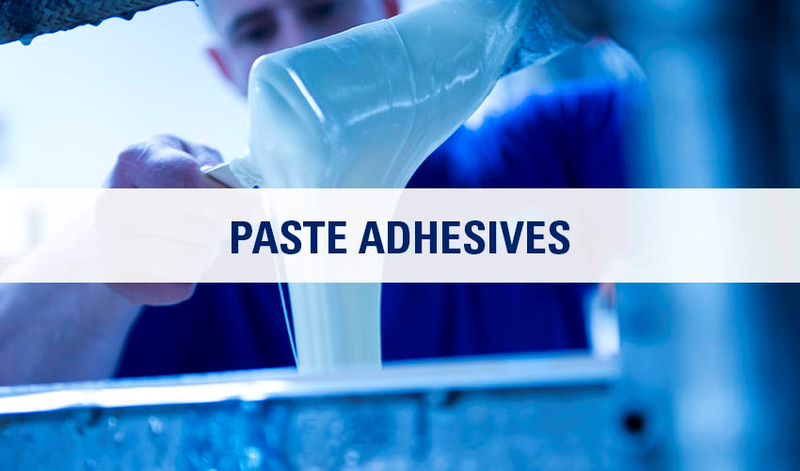 TenCate's paste adhesive are offered typically in two part (uncatalyzed) form. The user would mix the two parts per instructions and apply during the defined work life. TenCate paste adhesive are typically cured at elevated temperatures to reach their final service temperature. TenCate Advanced Composites, UK, has the largest independent core processing operation in Europe. Aluminium, Nomex®, and Kevlar® honeycomb are available in addition to our syntactic Amlite & expanding Amspand core. 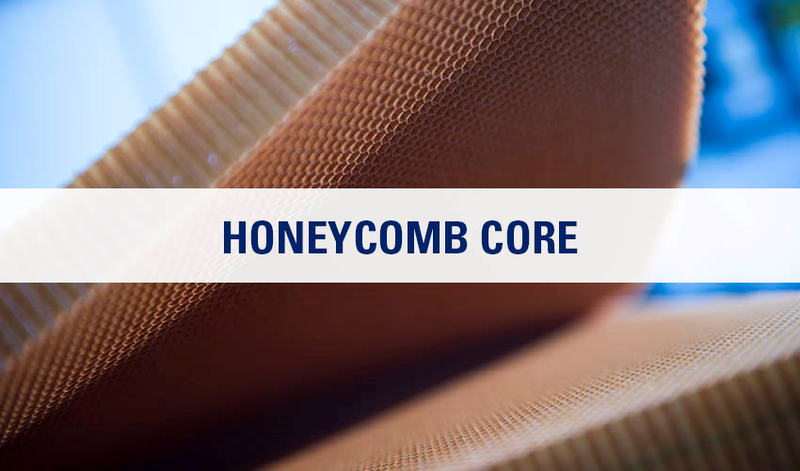 Flex-Core® honeycomb is also available. It has unique cell configurations that permit small radii of curvature without deformation of the cell walls or loss of mechanical properties. They hold extensive stock to choose from. All is cut to customer's thickness specification and available with fast turnaround times. Syntactics refer to a class of products which are filled with hollow glass spheres to lower the density of materials. They may be offered in paste or film form at a target density. They are used primarily for filling of core or empty spaces to provide structure for fasteners or to fill the core to prevent moisture/fluid ingression. Syntactic materials may be combined with blowing or expanding agents and then are labelled core splices as these materials expand to provide a load transfer between two discrete core pieces. TenCate's syntactics are often used in radome applications as a result of their low dielectric constant, or used in satellite structure as a result of their lightweight, high strength and low outgassing. 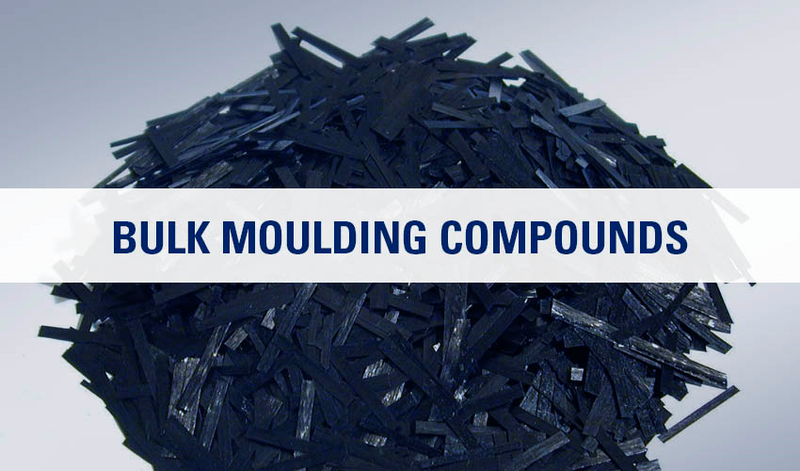 Bulk moulding compounds represent a family of chopped fibre thermoset or thermoplastic based composite materials. Fibre lengths are typically 1/2 inch, 1 inch or 2 inch (6 to 50 mm). Longer fibres provide higher tensile strengths while shorter fibres allow more complex shapes to be moulded. Standard modulus and intermediate modulus fibres are utilized as is S2 glass. TenCate offers a complete line of epoxy based thermosets and also offers a line of thermoplastic resins such as PEEK, PEKK, PPS and PEI. Thermoplastic based resins offer low moisture uptake, good impact resistance and low flame, smoke and toxicity. Thermoset resins are precision coated and designed to be low flow for optimal high fibre/resin content. 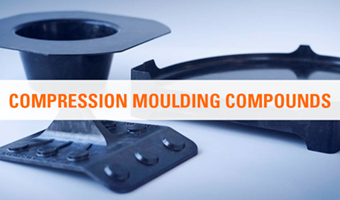 TenCate through CCS Composites, has design tooling and fabrication expertise for compression moulded parts. TenCate manufactures bulk moulding compounds and specializes in high performance, tight tolerance parts with difficult geometries. CCS Composites has experience in designing parts for space, aircraft, thermal management and industrial/commercial applications. 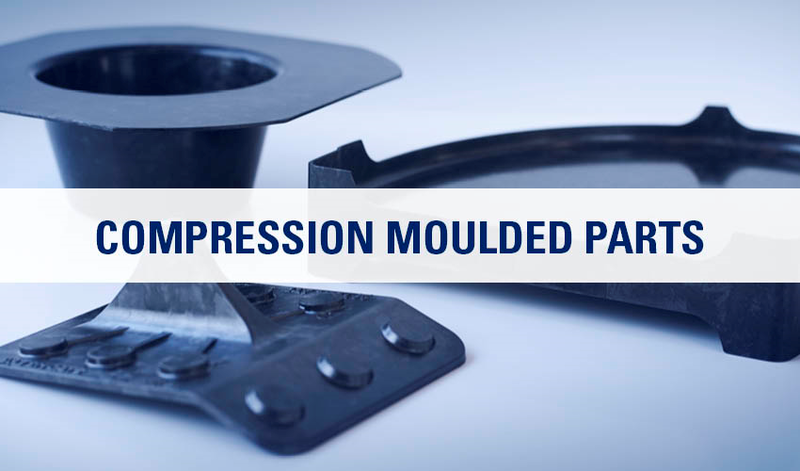 Compression moulding is a common alternative for complex geometry structure that limits the use of laminate style composites. Typical reinforcements are carbon and glass chopped fibre. TenCate has the most flight experience with out of autoclave prepregs. TenCate's out of autoclave prepregs are valued to manufacture composite fuselages, launch vehicle structure, rotor blades and control surfaces. TenCate's high precision film prepregging capability combined with optimized resin chemistry allows cost effective out of autoclave vacuum bag processing to improve part throughput and productivity. TenCate Cetex® thermoplastic prepregs is the leader in aerospace thermoplastic composites, and are available in a wide range of aerospace grade resins from PEEK, PPS, PEI to PEKK. TenCate has both unitape and fabric versions and they are offered in either prepreg roll form, slit tape form or in large 4x12 foot laminates for easy thermoforming. Plus TenCate has the largest flight history and aerospace pedigree with thermoplastics on engine pylons, structural clips and brackets, aircraft interior components, aircraft flooring and complex structure like rudders and elevator assemblies. 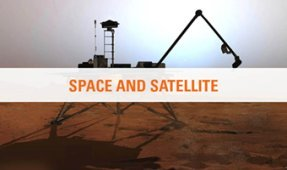 TenCate materials are widely used on satellite and space structures and antennae as a result of their performance characteristics and successful flight history. TenCate materials have been used on almost every satellite program in the Western world. The rigors of space require that prepregs and related materials must withstand exposure to extreme temperature cycling and radiation while resisting micro cracking and outgassing. TenCate materials have been approved for satellite usage and when combined with ultra high modulus fibers and specialty weaves, make the strongest and lightest weight structures. TenCate prepregs, resins, syntactics and film adhesives are primarily used on bus structure, solar panels, reflectors, heat shields, and a variety of booms, tubes and trusses. TenCate’s line of cyanate ester prepregs provide the ultimate performance, while our epoxy products meet the requirements for space flight while providing a more cost effective alternative to cyanate ester materials. TenCate materials have been used for over twenty years on a variety of military and commercial aircraft radomes as well as in antenna structure. Materials used in radome construction must be free of carbon fibre conductive particles and are made at TenCate in specialized carbon-free areas. Most reinforcements are glass, quartz, polyethylene or aramid-based. 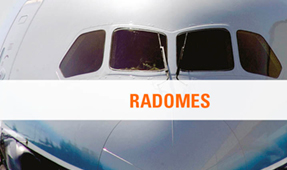 Radomes are designed for transmission efficiency. TenCate materials used in radome construction possess low dielectric constants and low moisture absorption allowing increased efficiency from the antenna and exhibit low loss tangents offering very low resistance to electrical energy. 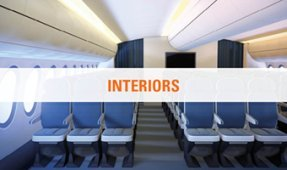 TenCate's lightweight thermoset and TenCate Cetex® thermoplastic composite materials are used in a wide variety of aero interior applications ranging from floor panels, keel beams, luggage bins, seats, trolleys and galley’s. Available as a laminate, fabric and UD tape and certified to Boeing and Airbus specifications, TenCate Cetex® thermoplastics offer excellent FST performance and rapid production processing (< 3 minutes). Thermoplastics are are easily formable and offer productivity savings with short mould cycles, high quality finishes off tool, excellent moisture resistance and durability. TenCate are also the largest European supplier for custom cutting and thickness specifications of aluminium and Nomex® honeycomb core in addition to syntactic core and foams. These high temperature materials provide both thermal stability and high temperature capabilities. 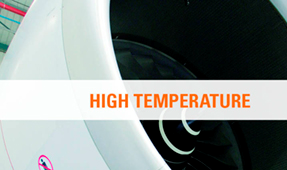 TenCate Advanced Composites in partnership with Performance Polymer Solutions Inc (P2SI) offer a wide range of very high temperature polyimides with service temperatures in excess of 700°F/371°C. TenCate materials include high temperature cyanates, BMIs and polyimides. 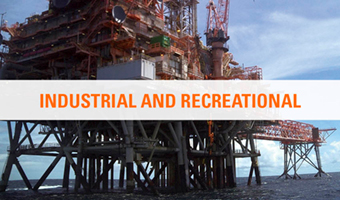 TenCate supplies prepreg materials for a variety of applications in oil & gas, infrastructure, medical and recreational products. 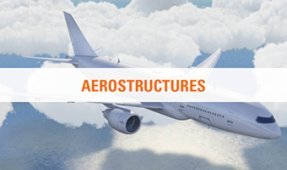 Composites have become the material of choice as a result of their lightweight, competitive cost and unique performance attributes. Carbon fibre prepregs allow for lightweight and high stiffness in applications ranging from oil and gas to recreational products. The high performance of carbon fibre combined with cost effective tailored epoxy resins provides a high strength/low cost combination. Thermoplastic reinforced composites provide users with the ability to manufacture high volumes with low cost thermoforming processes. Through the aquisition of PMC Baycomp in the US and Amber Composites in the UK, TenCate have a complete range of composite materials for all Industrial needs globally. At Delft University of Technology in the Netherlands the finishing touch is being applied to the very first Superbus. The vehicle interior is now upholstered and parts are being painted. TenCate Cetex® carbon PEI skins have been supplied for the door interiors. These are covered with leather. TenCate Cetex® meets such requirements as those laid down for interior applications by the aviation sector. Furthermore, all thermoplastics are in principle recyclable. For the solar car 2009, TenCate has offered the team a wide range of space and aerospace composites. These are produced by TenCate Advanced Composites in Nijverdal, The Netherlands. TenCate yielded both TenCate Cetex® thermoplastic glass reinforced carbon laminates, as high-end core thermoplastic materials for the production of lightweight structural parts of the solar car. In addition, carbon, glass and aramide texture is supplied for both the curves of the solar car and for its structure. With its sponsorship material TenCate seeks a substantial reduction of the weight of the solar car of Solar Team Twente without affecting the overall strength of the vehicle. The frame of this solar car is now 5 kilograms lighter. This is a weight savings of 29.4 percent. The frame weighs only 12 kilograms. Another advantage of composite material is its easy way to finish, so that the surface of the vehicle is smoother and more aerodynamic. The total air resistance of the solar car is 25 percent lower due to the new design, the good finished surface and thanks to the flexible body structure. The main innovation in the solar car 2009 is the flexible, pivoting body structure which connects the wing of the car to the frame. This body structure is made of a thermoplastic elastomer, which the team uses to optimize the aerodynamic properties. The solar car of Solar Team Twente distinguishes itself thanks to the large amount of energy that is achieved by the tilting wing. The wing moves with the sun, so that sunrays fall directly onto the solar cells. This, together with the patented lens system, focuses solar energy onto the underlying solar cells. Thus enabling the team to generate 7.5m2 of sunlight from 6m2 of solar cells. This approach in fact works like a magnifying glass. Solar Team Twente 2009 is put into red overalls made of heat and flame resistant fabric that is produced by TenCate Protective Fabrics in Nijverdal, The Netherlands. This lightweight TenCate Tecashield® material is highly durable through the use of aramid fibres. Thanks to TenCate Outdoor Fabrics, an inherently flame retardant red garage tent for the solar car is accompanied by an inherently flame retardant red ground cloth for small repairs on the side of the road. The team sleeps in inherently flame retardant red tents made of TenCate materials. Because all tents have a pump up frame, they can be set up fast and easy. The canvas of TenCate Outdoor Fabrics is composed by a blend of four different fibres, offering the canvas its inherently flame retardant qualities. The material is strong, has great breathability properties and has moisture-regulating capacity and is resistant to all weather conditions. This is important because in Australia the temperature differs enormously between day and night. The Superbus Concept is an initiative from Professor Wubbo Ockels. The basic idea is that Superbuses will provide comfortable, demand-driven, point-to-point transport and thus be able to compete with the car and train. This will be possible because these vehicles can travel at high speed on specially built ‘Supertracks’ as well as at normal speed on existing roads. A team linked to the Technical University in Delft, made up partly of students, is engaged in making a prototype. In addition to the development of an experimental model, the Superbus project includes research into the corresponding infrastructure, logistics, safety, reliability and economic efficiency of the vehicle. Since material usage is an important component, TenCate advanced composites are deployed. Provided they are well designed, the chassis and plating made of carbon fibre can be many times lighter than those made of aluminium or steel. Carbon fibres can be laid parallel to the forces, which allows major savings on material, thus again reducing weight and fuel. At the same time carbon fibres provide enormous freedom of form during design. The DUT Racing Team, for instance, also use carbon fibre to make the fuel tank, air intake, supporting arms, steering wheel and catch cans. TenCate fabrics based on aramid, glass and carbon fibres have been incorporated in the Go-4 Dakar car. Laminating several layers of fibre with synthetic resin to form a whole has produced an extremely strong and rigid structure. Laminated composite parts are five to eight times stronger than steel and also lighter than aluminium. An additional advantage is the low weight of the composite materials, and this saves fuel: the body weighs a mere 70 kilos. In the Dutch Design Lounge the KG-1 Concept is presented by KesselsGranger DesignWorks (Eindhoven, NL) in cooperation with IPO Rotterdam. This sports car was designed around the human body. The driver sits in an active position, the passenger in a passive one. The semi-integral body and frame can be produced using carbon fibre-reinforced material. This light, strong composite offers considerable savings in weight and greater mechanical strength. It is already being used in the structural parts of, for instance, ultra-light racing bicycles.